In a break from the ‘norm’ the big Dublin event was held in February this year. The FnaG is the largest event of the Irish HEMA calendar as it is held where all the roads lead. It’s easy enough for Irish based fencers to make it and a nearby port and airport make it a doddle for visitors too. The venue is a boys school in the village of lucan just on the outskirts of the capital. Plenty of space in the (slightly chilly) main hall, two extra spaces for classes and a handy kitchen and dining room for coffee and meals. Having lunch laid on every day was pretty cool and the food was of a very good standard. The event was run over three days (Thursday to Sunday), with a mix of classes and competitions. It obviously wasn’t possible to make every class and tournament but I’ll tell you about the ones I made it to. On Friday I took a Messer class, led by Bob Brooks (Hotspur School of Defence, UK). We covered some of the principles of Lekuchner’s manual. Bob particularly wanted us to see Messer fencing as a peasant art which appealed to me no end! The workshop focused on ending engagements quickly, with no flashy, unnecessarily complex actions that might increase the risks. The Messer is treated as a tool for defence and the actions whilst not flashy had a great deal of practical elegance. The techniques demonstrated mostly resulted in putting yourself into a bargaining position; one where you had achieved physical dominance and could end the fight without having to deliver deadly force. After all, you may have hung for murder if you weren’t careful. The afternoon saw the first three competitions: Sword and Buckler (which I participated in), Ladies Longsword and the Novice Longsword. The Cork Blademasters secured a clean sweep of medals in the novice category (their beginners will be a force to be reckoned with in the League this year I am sure). I didn’t do so well myself in S&B but didn’t embarrass myself either. I haven’t really done enough training over the last months to have been a serious contender. The Ladies’ field was much increased this year; easily double the numbers of last year which is a fantastic development as far as I’m concerned. I took on the role of referee for the eliminations and final and the quality of swordspersonship was amazing. All the medalists went on to teach classes over the weekend as well! Saturday was the main competitive day and we started early at 9.30am with Sabre in a study hall and Rapier & Companion in the canteen. Keith Farrell taught a longsword class at the same time for the non-competitors. I entered the Sabre as it is what I have been training over the last few months. I have mentioned before how much enjoyment I get out of the discipline and I wanted to support it. We only had a small pool, six in total. We held a round robin followed by a play off between the two highest scoring players for Gold and Silver. Great skill from all involved, special mention to Callum from Cork and Dawid Wozniak. Callum for his excellent leg slips to avoid his instructor’s attacks and Dawid for doing all his fights back-to-back! So that he could go off and enter and place in the Rapier tournament down the hall! I even managed a medal for myself! It was bronze but that’s not as important as the fact I acquitted myself satisfactorily against enthusiastic and competent opponents. We used the Black Fencer synthetic sabres, which, whilst good, wouldn’t have been my first choice. I’m just not as fast with them as I am with a Hutton style Gymnasium Sabre. It’s tricky to get a sabre and scoring system that suits everybody perfectly so I’m glad I did well with a compromise choice. Maybe I would have done better if others had no choice but to use my preferred weapon…who knows. Rapier, the judges work pretty much as hard as the players! I watched the end of the Rapier & Companion competition. Very exciting but not my bag baby. I want to stick to more choppy styles at the moment. We do have some side-swords in the pipeline (more on that next week) but I can’t see myself picking up a rapier. The scoring system is much more complex than the rest of the FnaG competitions. High scoring attack being compared with any return attack and being awarded the difference between the two… The judging is fairly athletic too, each fighter is watched for hits by two judges, who chase each other around the ring in order to maintain a clear view to ‘their’ fighter. At times it was like watching a washing machine! Still fair play to them for keeping it up and running a well received and quality tournament! After lunch was the ‘main’ event (well main tournament, as most people entered it). Once again I did not do as well as I would have hoped. I placed fairly near the bottom of my own group let alone the whole rankings. Main problems I faced were a bit of a crisis of confidence and the sun was in my eyes for every bout. Now the crisis of confidence comes from having reached the dreaded “conscious-incompetence” stage of learning, I know what I’m doing wrong I just can’t seem to address it an improve. I over think my failings and I risk being beaten before the first bind. The sun in the eyes thing does sound whiny but seriously; I have a red jacket so I was Red on every bout and the sun sloped into the room straight into Red’s eyes. Everyone else rotated into being Blue half the time but not me…It “would be too complicated” to give me a chance at being in the other corner apparently. Even the guy with the Blue jacket sometimes fought from the other corner. I think I can hear the tiniest violin somewhere playing the saddest song… Basically I wuz robbed! I don’t remember who won, as I had descended into a haze of bitterness and regret and could barely focus through the tears. Oh, no, now I remember. The medals went to Artur Augustyniak, Jamie McIver and Mike Smallridge. The standards were very high as always, the style of the competition did seem a bit more aggressive and direct than it has at previous FnaGs but that’s just my impression and I mean only in the style of the fighting; the atmosphere of the whole event was welcoming and comradely as always. Saturday is always the big social session for the Dublin event. We all managed to achieve an advanced state of refreshment and there were sore heads in the morning. Never having won a medal before I missed out on my chance to wear it at the pub, I didn’t realise the ettiquette but as it was pointed out to me, “You should have worn it tonight, it’ll be a bit creepy if you put it on next Saturday down the local…”. Sage advice, sage. The final day was given over wholly to classes. There was a repeat of Keith’s class, a Rapier & Dagger session, two Italian longsword workshops (Vadi and Fiore), Sabre, Sidesword and an Italian Polearm class, phew. I may have even missed one out, S&B maybe, or was that last year… Like I said, sore heads. I stuck to Longsword with disarms and locks by Fiore and a bit of Vadi. I have never done a real class in either so it was good to see how those guards and moves should be done. After such an intense weekend the comedown is always a little harsh. I was frankly knackered, fully buzzed up for Historical Fencing, but wrecked. On Monday I taught my second introductory Longsword Class here in Feakle. Five new students going through the paces under my droopy eyelids. We covered a bit of the Meyer square, principles of attack and defence and reviewed the guards and footwork! I hope everybody was able to follow as my brain was a bit addled from the weekend. That’s about the lot in terms of the review. 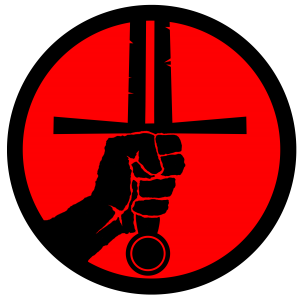 Next month there’s a Tactical Longsword class being held by the Blademasters which looks interesting. I might make it but time is in short supply at the moment. I have new swords on their way to me, whoop whooop. They should reach me before my 40th, also in March. Before that though we are looking to start off a monthly interba scored sparring night and there will be more beginners’ classes. Lots to do. I hope you enjoyed this review of the FnaG2018, if you did share it with anyone who might like it. If you want to comment you can do so below or on the Wrathful Peasants Facebook Page. Previous Post Important Rant this week. Next Post Beginner’s Classes, the start of something good!